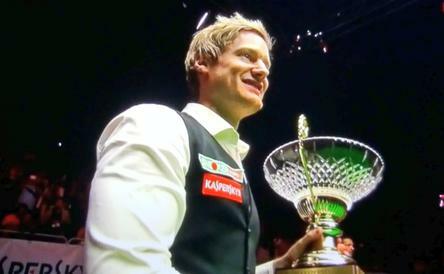 Neil Robertson has won the Riga Masters in Latvia, beating Michael Holt 5-2 in the final. It was the first ranking event of the 2016/2017 season. After crashing out in the first round of the World Snooker Championship last April to Michael Holt, Neil Robertson was looking for revenge and to get the 2016/2017 season off to the perfect start. In the final of the Riga Masters, both Holt, who was appearing in his first ranking event final, and Robertson were both not able to reproduce the form that they produced in the early stages of the tournament. Holt had a further chance in the seventh frame, but was unable to close it out as Robertson made a cool break of 69 to eventually seal the match and lift an incredible 12th ranking trophy, one ahead of Ding Junhui and only six behind the great Mark Williams. Despite having a great tournament and reaching his first full ranking event final, Holt will be disappointed that he wasn't able to play better when it most mattered. Many punters will be confident that first ranking event win is just around the corner if he continues to show the form he has over the past year. Robertson meanwhile will be estatic with his week's work and has started the 2016/2017 off in the best way possible. He hasn't entered the Indian Open next month but he'll no doubt start off favourite to win a fourth World Open title in Yushan, China at the end of July.